When he’s not fighting evil witches and wizards, Brad A. LaMar is an educator who resides in the Indianapolis Metropolitan area. 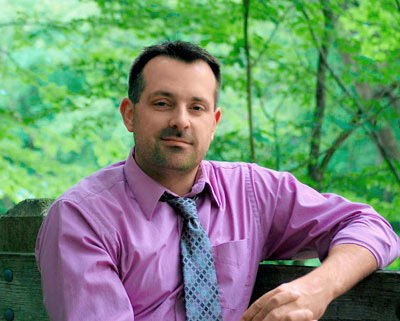 He has taught science to middle school students for 12 years and works with teachers facilitating professional development and school improvement. He is married to Lori, a beautiful and supportive woman, and together they’re raising Evan and Paige, two intelligent and wonderful children. The idea for the Celtic Mythos series came from his love of science fiction and fantasy and the underutilized and abundantly rich folklore of the Celtic people. They are so much more than leprechauns! Brad has always loved a good story, and upon researching the mythos of the Celtic Isles he became enthralled in the type of story he could tell. Brad especially enjoys the way a story makes a reader think, laugh, and react. 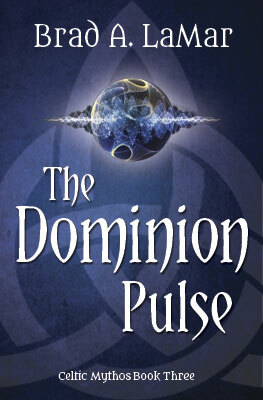 He works hard to deliver those experiences in his best selling YA fantasy series, Celtic Mythos. You can learn more about Brad online at balamar.lightmessages.com. 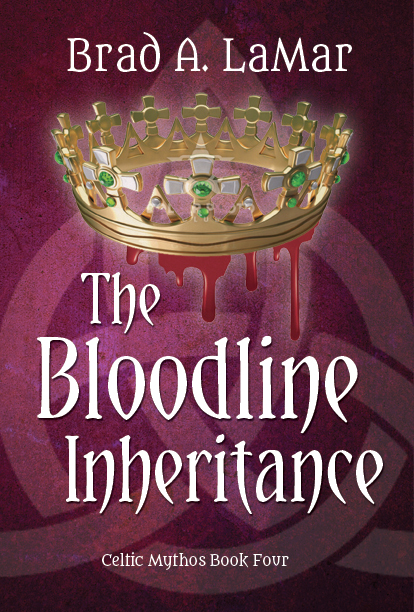 In his quest to become an Immortal, Elathan seeks the Emerald Crown of the World, which holds a magic so ancient and powerful that its been hidden from all realms. As Earth’s rightful Protector, only Brendan stands a chance to stop the golden god, to save the Earth and her inhabitants. But when Brendan falls under a curse that poisons his mind, Lizzie, Dorian, Frank, and their friends must band together to save him while Elathan grows in power. 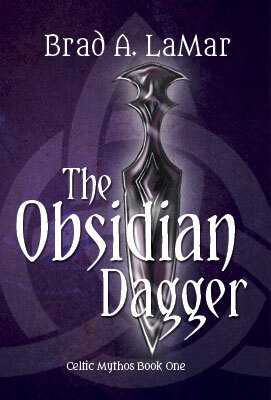 Read book three of the Celtic Mythos series. After losing his father to Elathan, Brendan and Lizzie are forced to regroup, recover, and come to grips with the immense responsibility that has been thrust upon them. Faced with the golden god's aggressive plans to free his powerful allies and seize control of Otherworld, Brendan and his friends must seek their own power and enlist the help of the wise goddess Bibe. As the worlds becomes further marred in darkness, the heroes must work against time if they want to save Otherworld––and themselves. The fate of mankind teeters on the edge of the megalith union. Just as life was returning to normal for Brendan as a college freshman, the hands of fate intervene and adventure besets him again in the second installment of the best-selling Celtic Mythos series. Elethan, the golden god of Celtic lore, is reborn out of the ashes of a dead king and evil witch. Through Brendan and his family, Elethan maneuvers the tendrils of destiny, seeking to gain ultimate power at the expense of all humanity. Dogged by giants, alphyns, and ruas Brendan, Dorian, Lizzie, and a new cast of characters risk it all to unravel the mystery of the ultimate foe. With Corways under attack and Brendan's father captured by a forgotten enemy, can Brendan and his allies prevent the end of days? As the megalith union looms, Brendan and his friends must look to the past to prevent a future where Elathan reigns supreme. 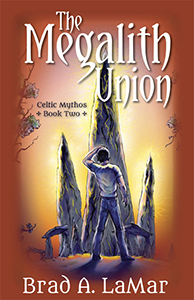 If you liked Percy Jackson and the Olympians or Fablehaven, you won't want to miss The Megalith Union! When a mad witch with a magically crafted and frightfully powerful Obsidian Dagger threatens to obliterate humanity and overtake the magic clans of the Celtic Isles, destiny forces 17-year-old American, Brendan O'Neal, and his younger sister, Lizzie, to intervene. Joining the desperate princess of the Leprechauns, Dorian, and her two loyal companions, Rory and Biddy, they embark on a dangerous and wondrous adventure across Ireland and Scotland to thwart the witch and save mankind. Battling the witch's mutated forces of magical beings, the heroic band will have to reach deeper into themselves than they ever thought possible to find the strength, courage, and will to see their quest through to the end. Brendan will soon learn that the lines between reality, mythology, and divinity are more blurred than he ever imagined.